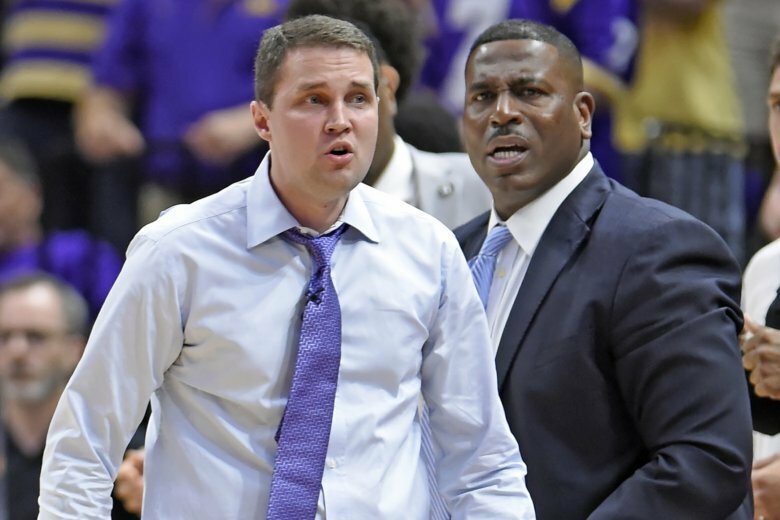 NASHVILLE, Tenn. (AP) — LSU will not allow Will Wade to resume his duties as men’s basketball coach unless he speaks to university officials about the reports of an FBI wire-tap that resulted in his suspension. A statement from the school’s counsel was released Thursday amid reports that Wade has requested to return to the team as the ninth-ranked Tigers prepare for the postseason. LSU suspended Wade indefinitely last week in the wake of reports that FBI wire-tap captured his telephone conversations with a person convicted last year of funneling money to the families of basketball recruits. Thomas Skinner, an LSU vice president for legal affairs and general counsel, said Wade will remain suspended until he speaks to school officials about the situation. Wade told Sports Illustrated on Thursday that he was put on leave because he didn’t submit to an interview with LSU and NCAA officials. The coach says he wasn’t speaking with them because the interview would have covered the same subject matter at issue in a pending federal criminal case involving college basketball corruption. “My legal counsel advised the university that it would be wholly inappropriate for me, or anyone, to submit to an interview under these circumstances,” Wade told Sports Illustrated. Tony Benford, an assistant coach on Wade’s staff, has been serving as interim head coach. LSU trounced Vanderbilt 80-59 on Saturday to clinch the Southeastern Conference outright regular-season title in its first game with Benford as interim coach. LSU (26-5) is the No. 1 seed in the SEC Tournament this week in Nashville. The Tigers open tournament play Friday against Florida (18-14).